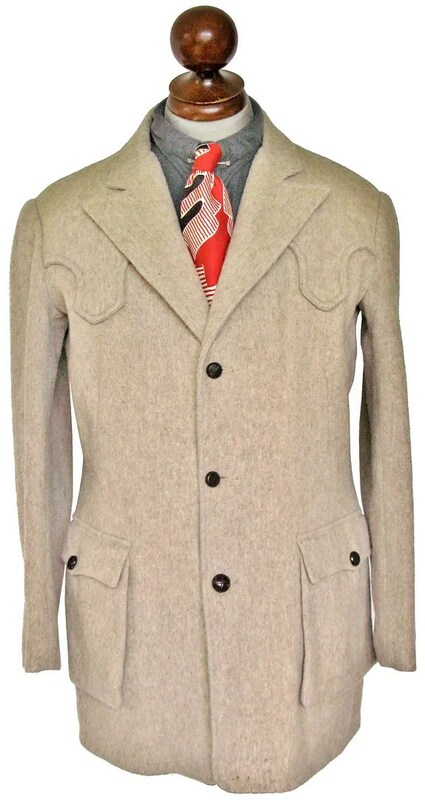 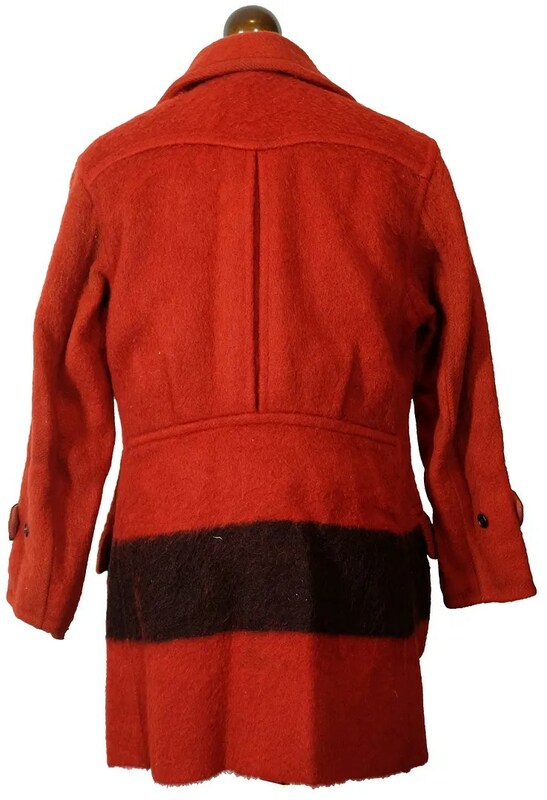 This vintage coat was made in the mid 1930s from English-made Hudson’s Bay Company point blanket wool. 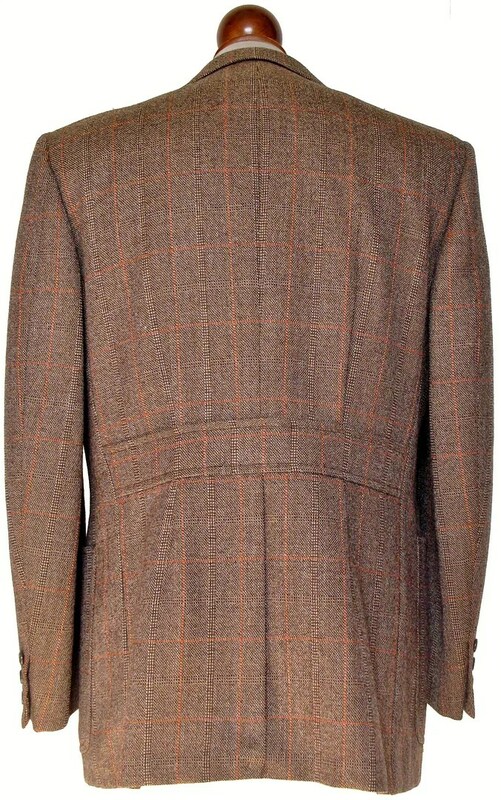 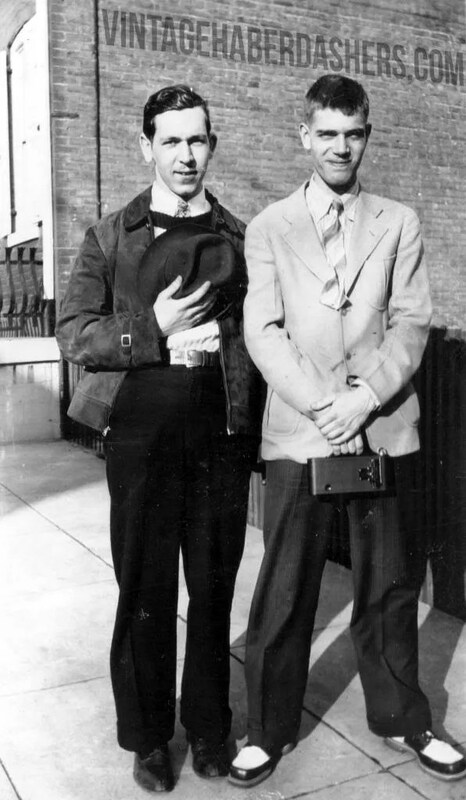 The coat is a classic double breasted mackinaw cut, with the points prominently displayed. 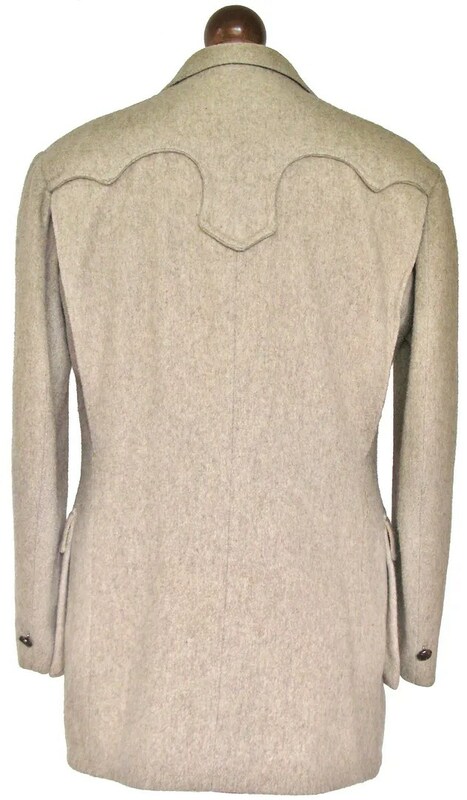 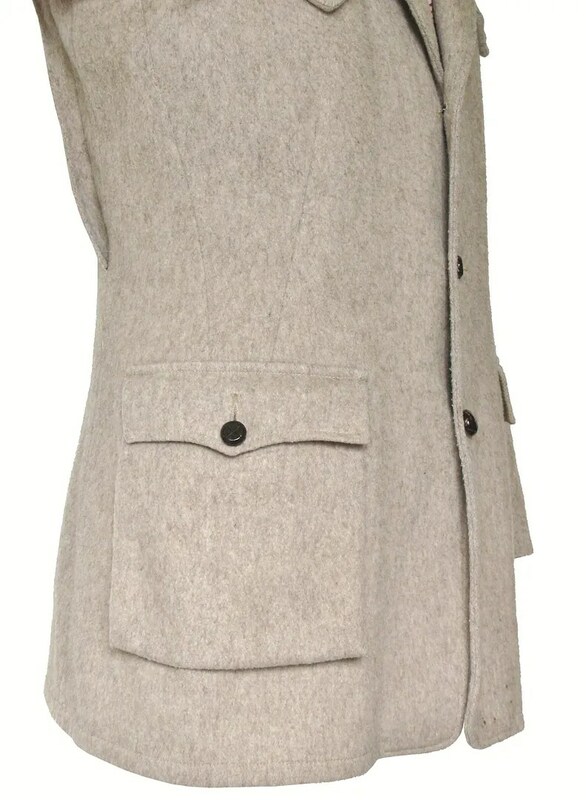 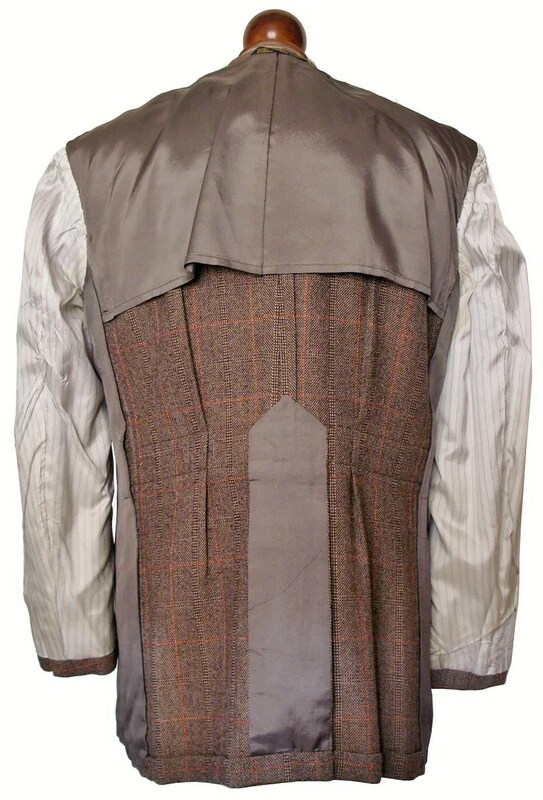 The coat has a fancy back, with a scalloped yoke and center pleat with flanking pleats. 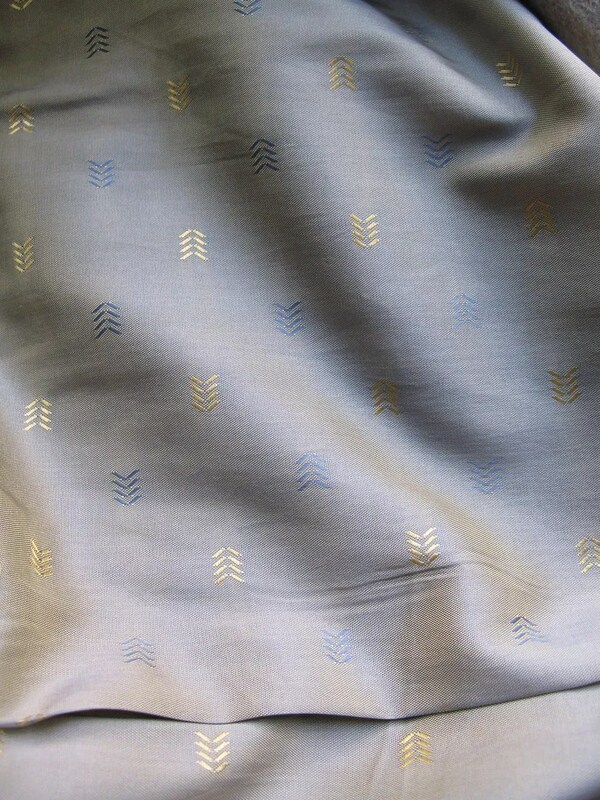 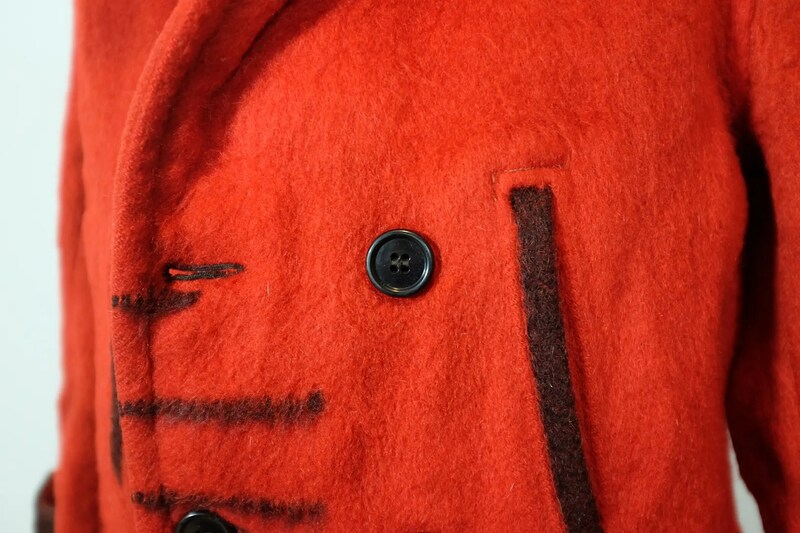 The cuffs have button adjusters in the black contrast portion of the blanket fabric. 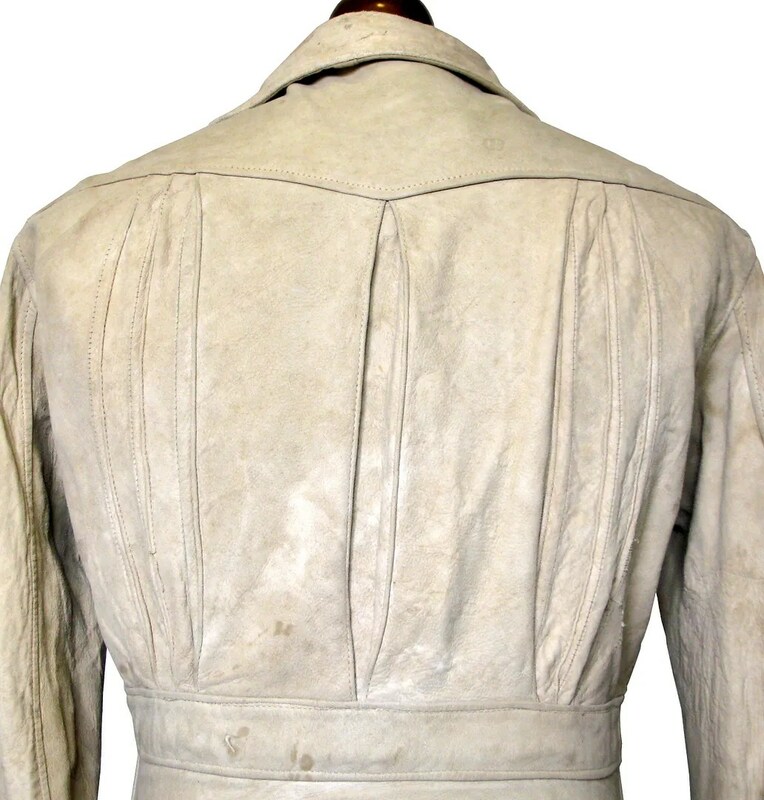 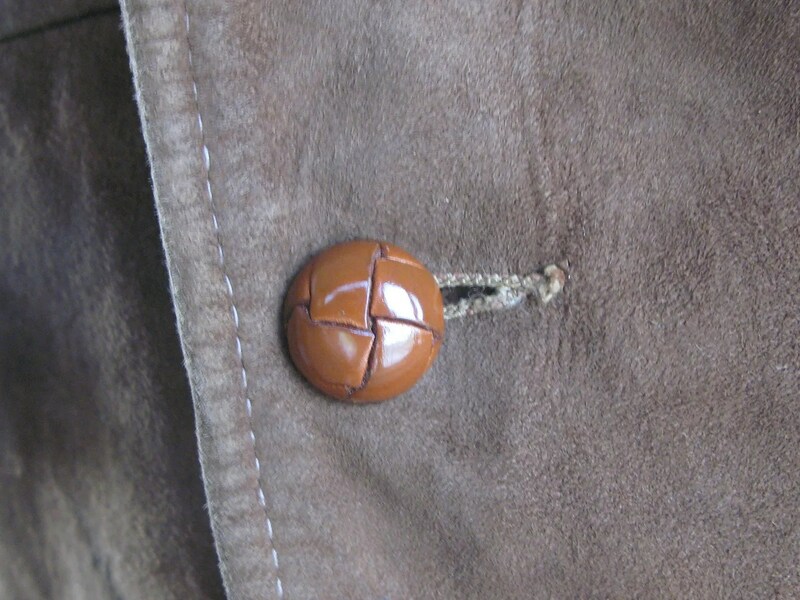 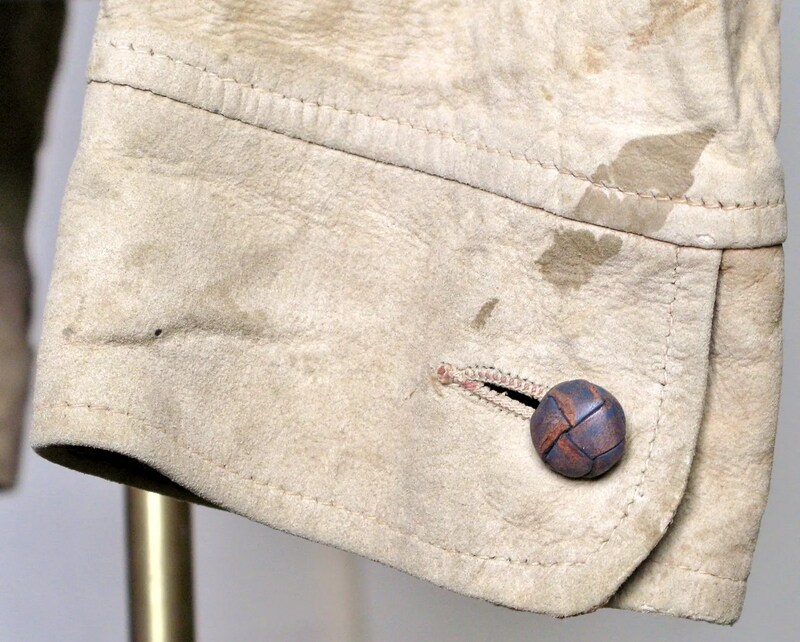 As is typical of mackinaws of this period, the coat is unlined with taped seams. 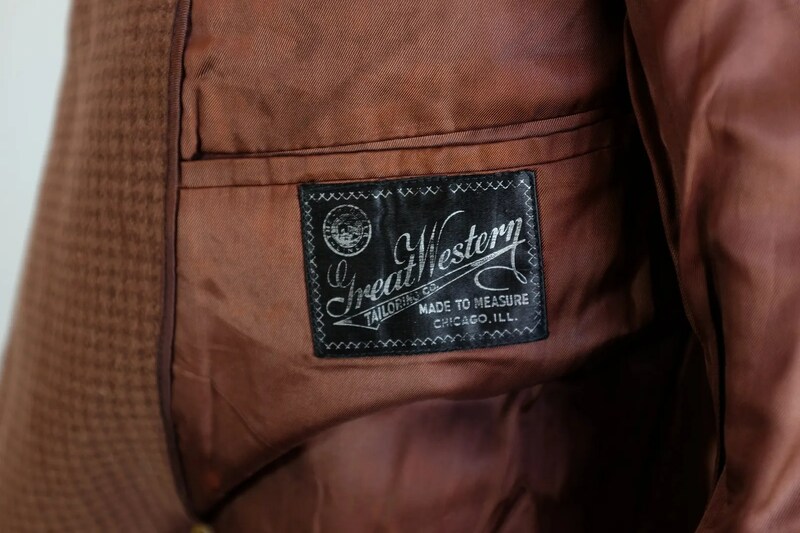 It features the Hudson’s Bay crest used in the late 1920s-1930s. 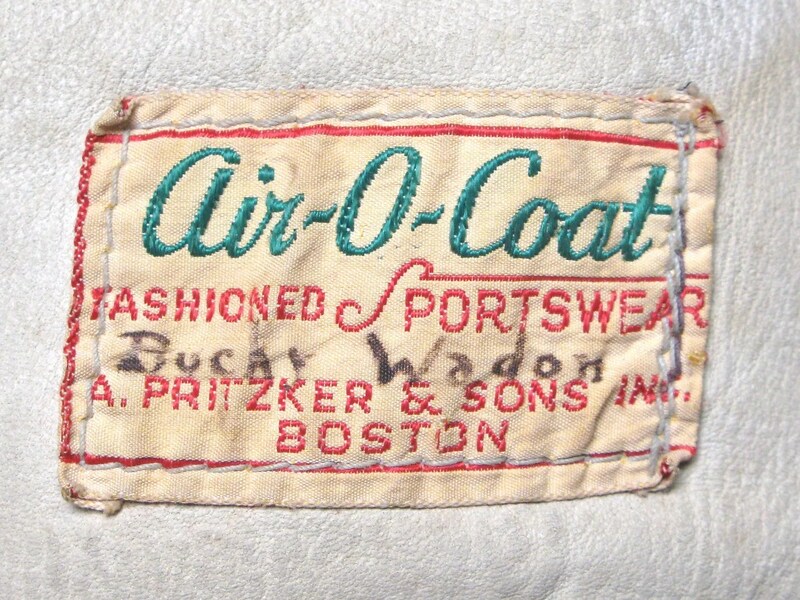 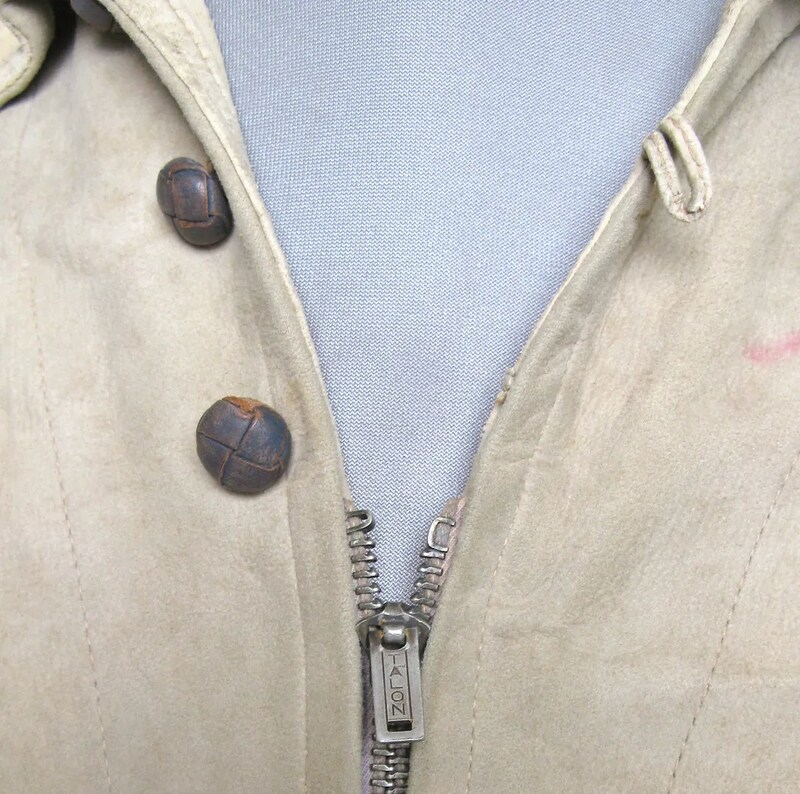 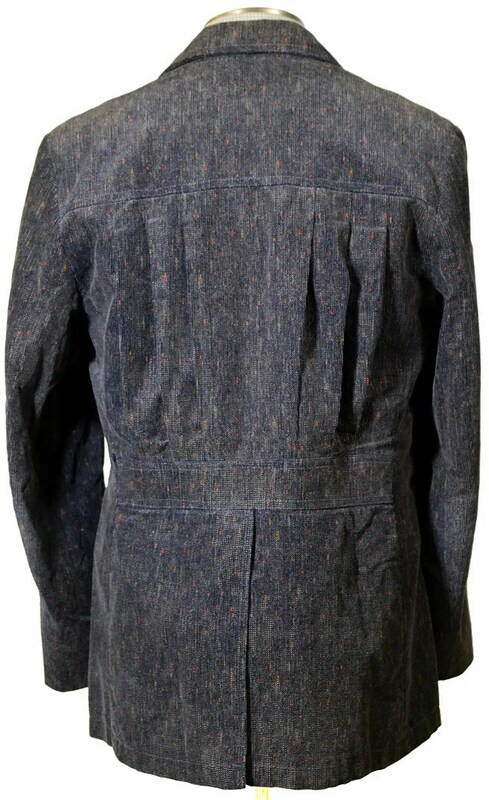 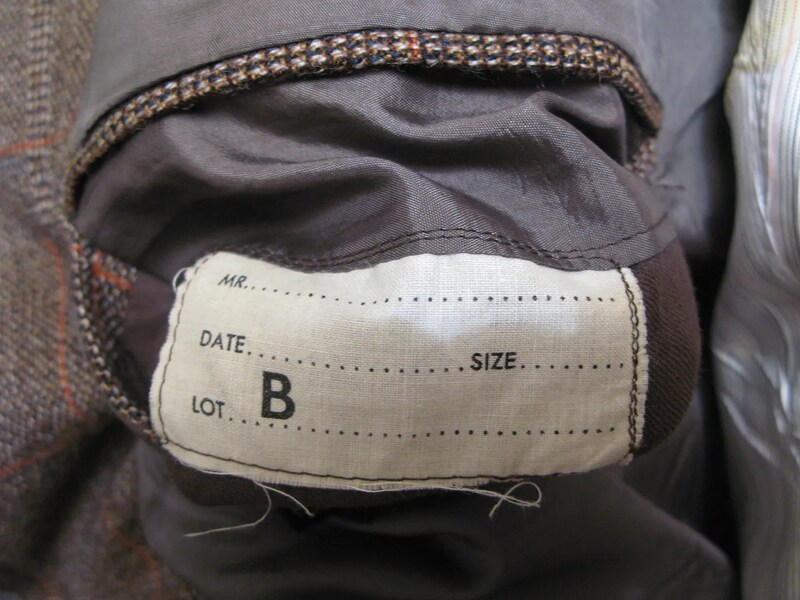 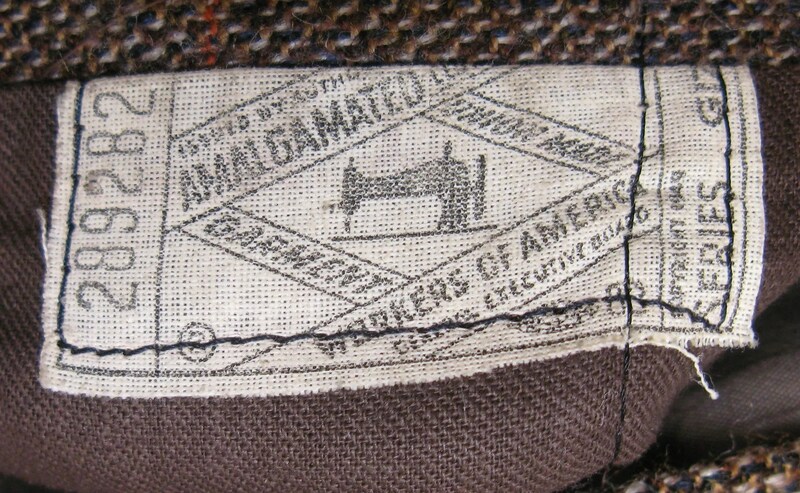 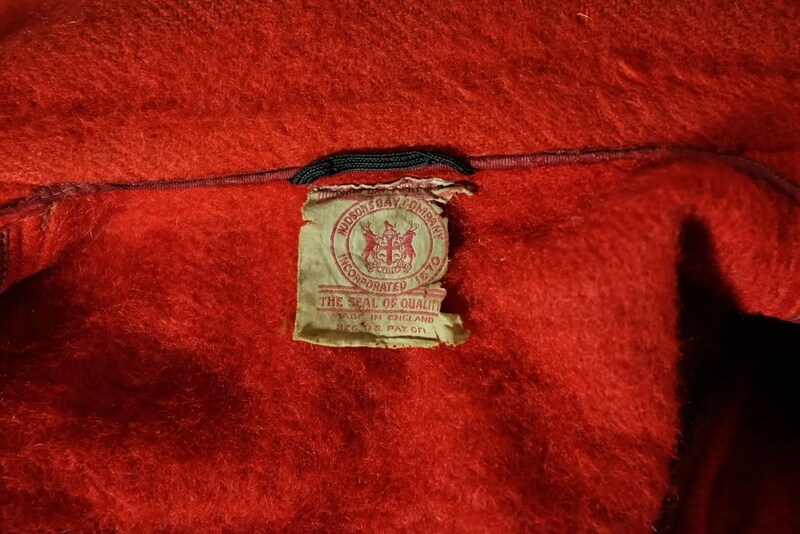 With the particular usage of the black portion of the blanket for trimming the pockets and cuffs, as well as the raw hem, a holdover from capote stylings, I would guess the manufacturer of this particular coat as Congress Sportswear, which would have used the Maine Guide label. 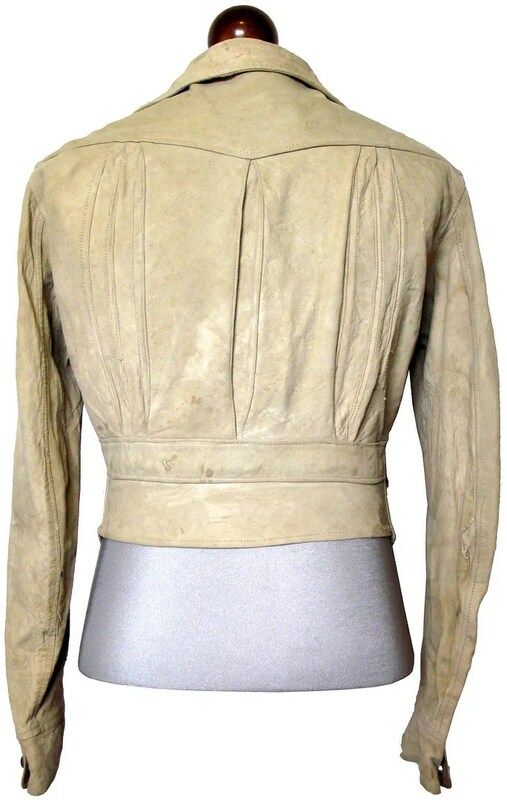 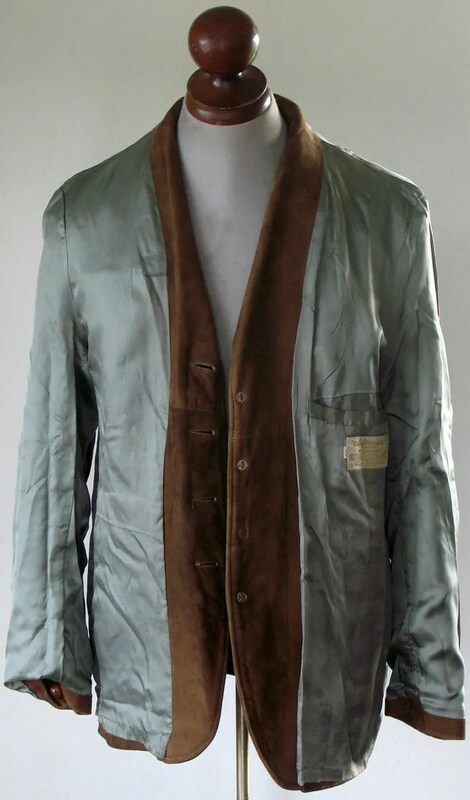 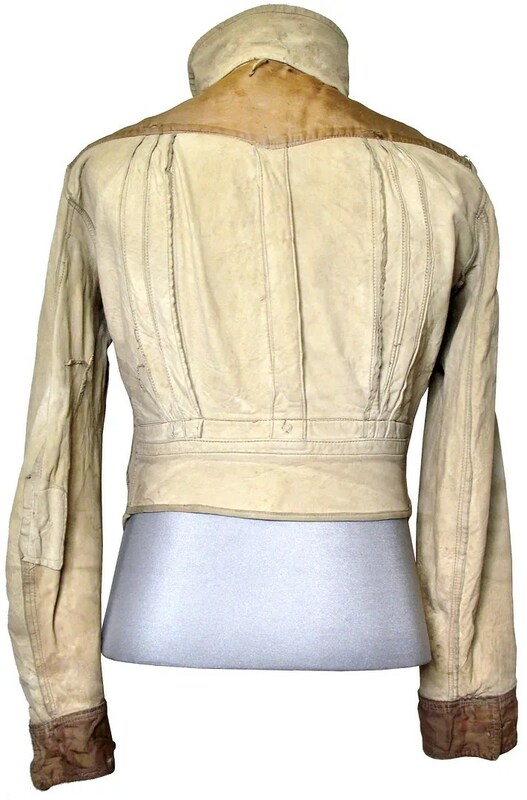 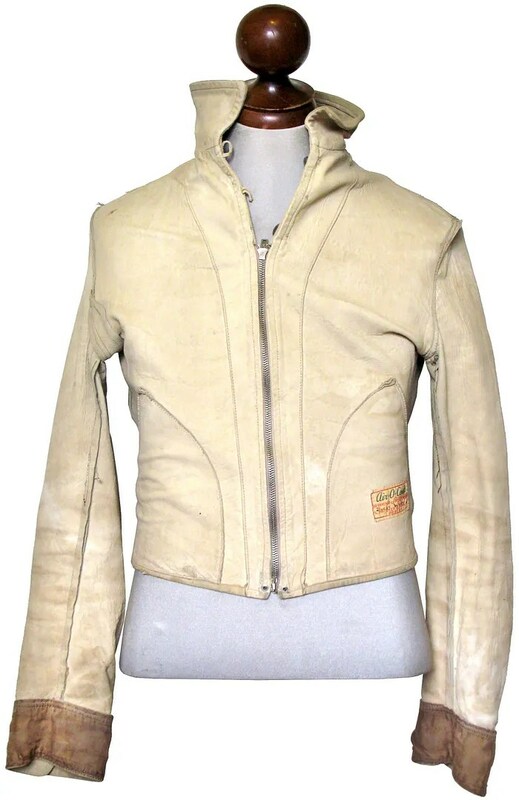 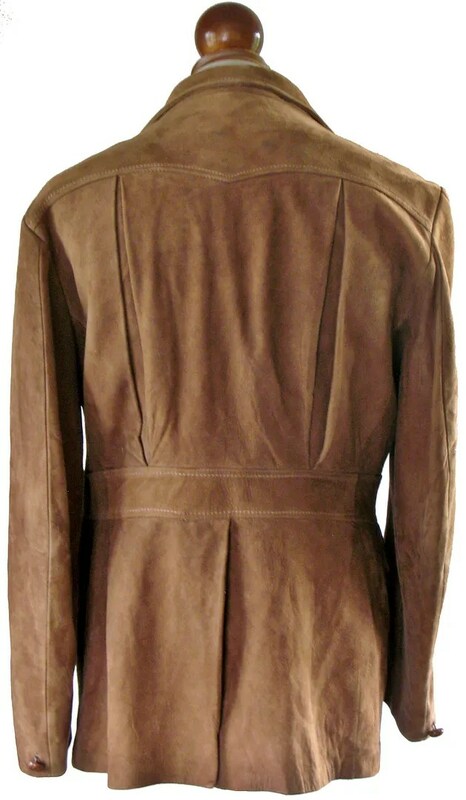 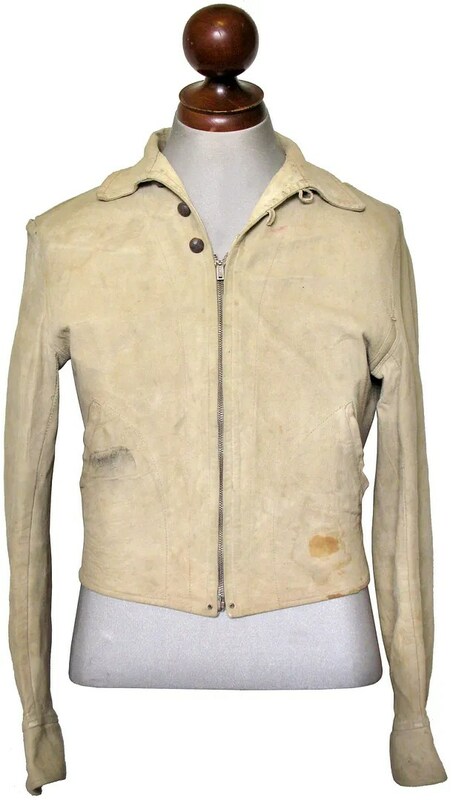 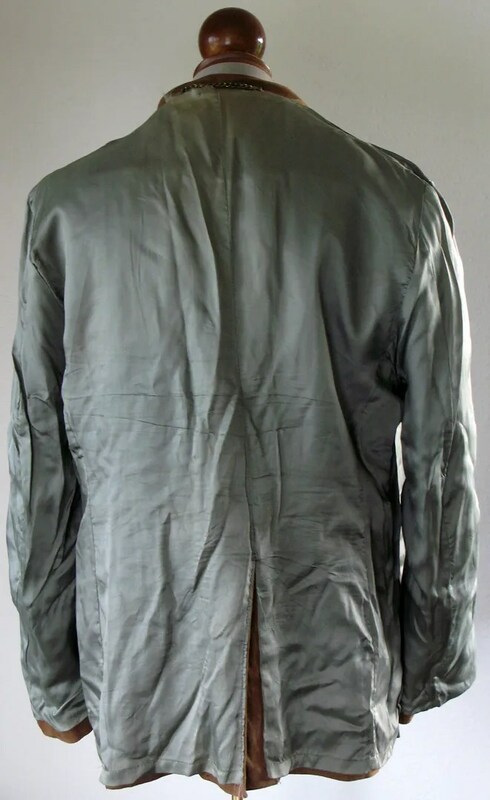 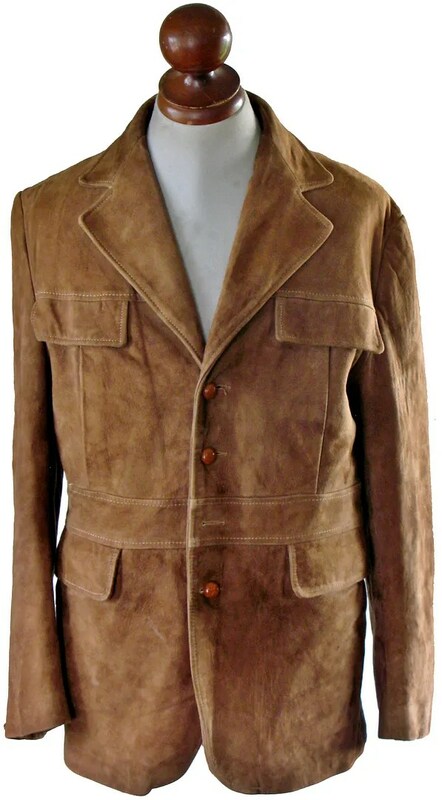 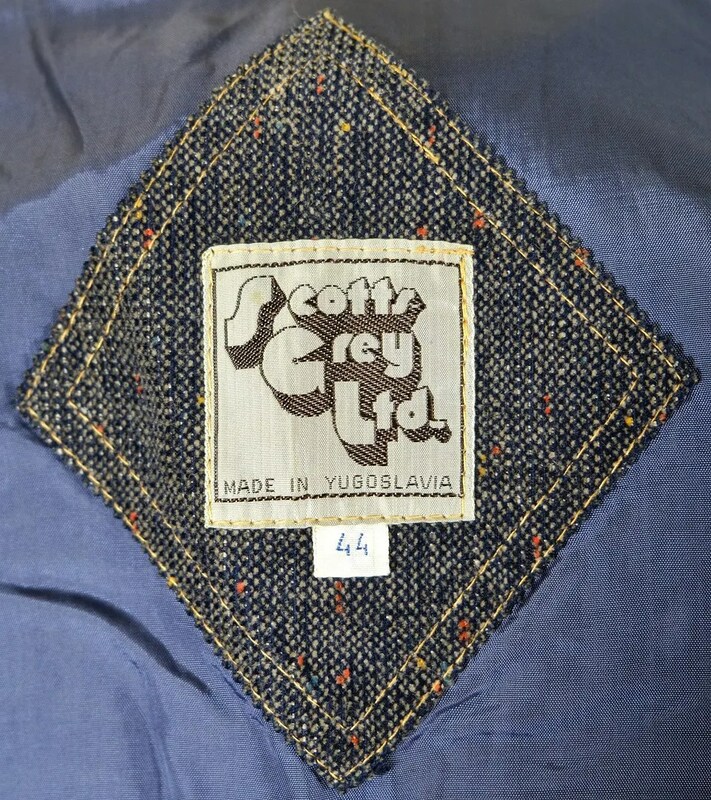 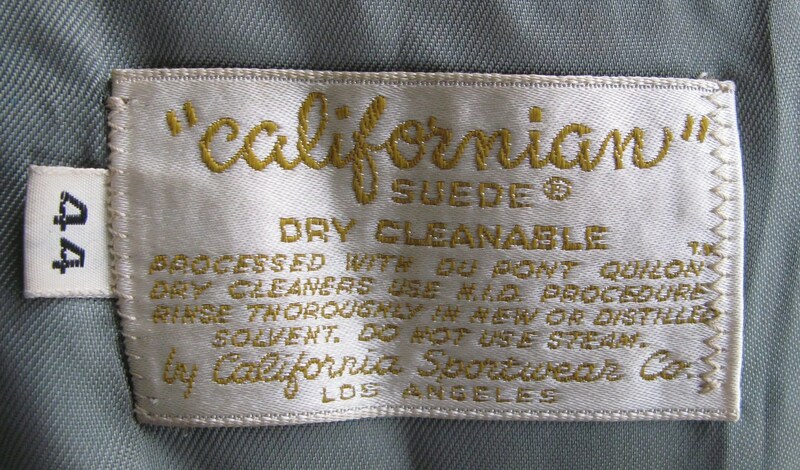 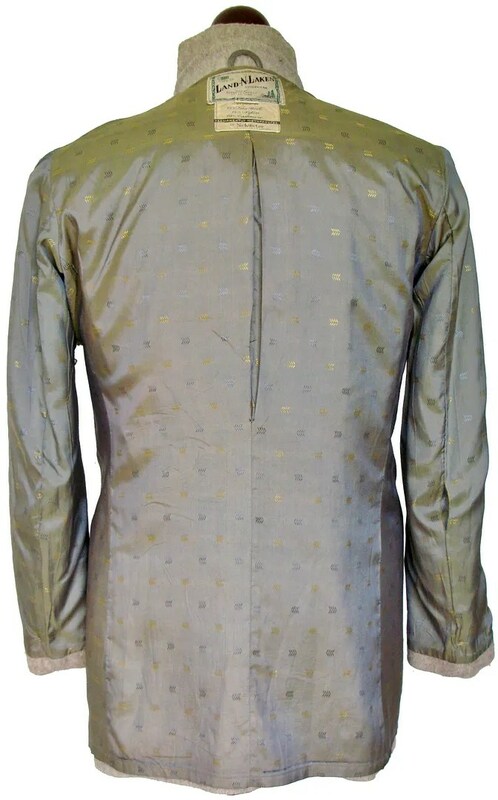 This vintage jacket was made in Yugoslavia in the late 1970s and was sold by Scotts Gray Ltd. 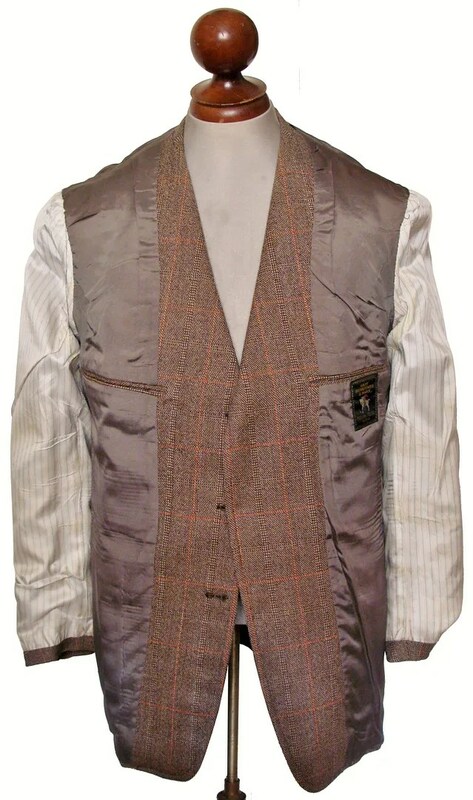 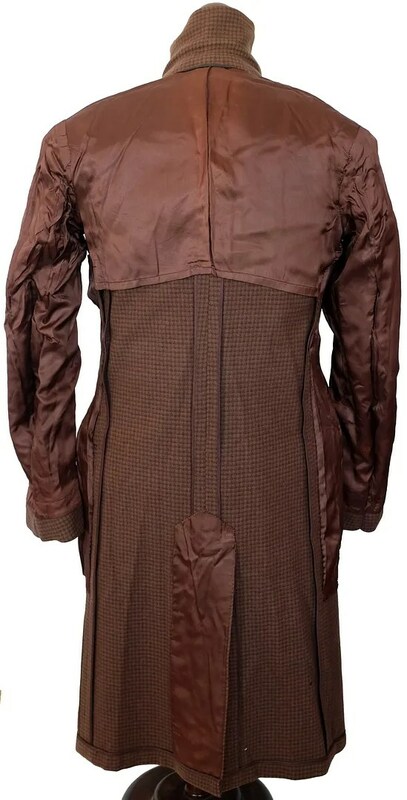 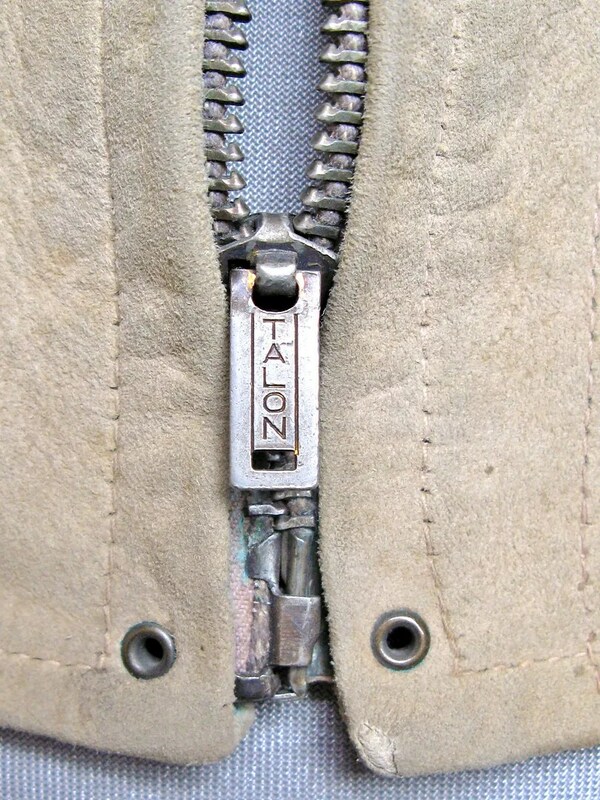 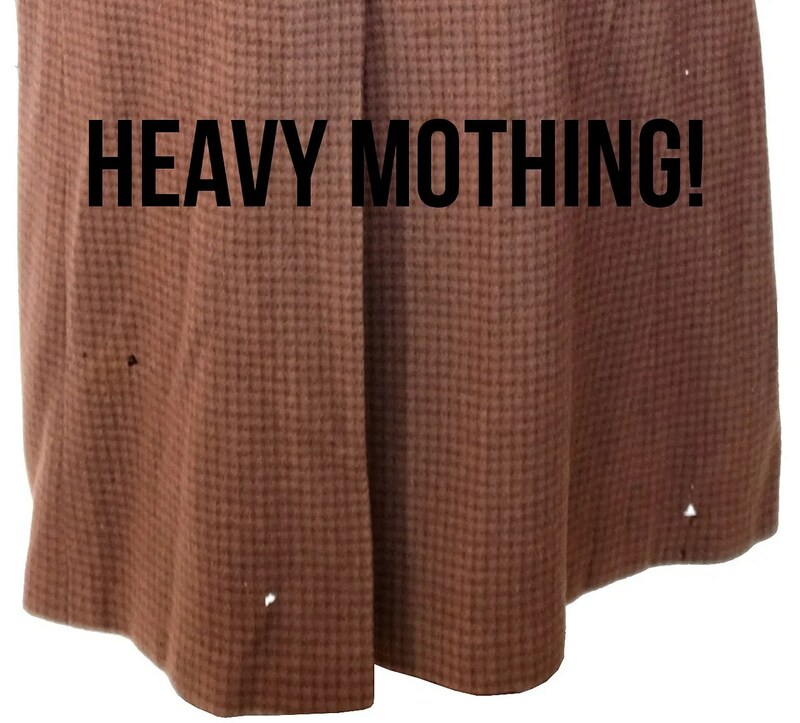 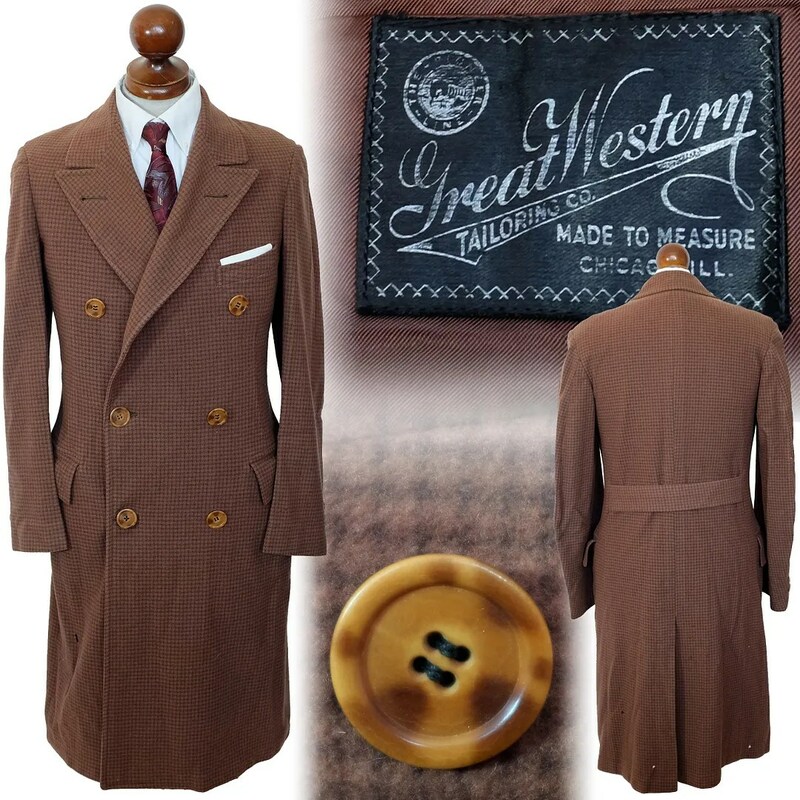 It is made in a 1920s belt-back style, with double patch breast pockets, high button stance, triple pleated pockets, fancy pleated back and belted back. 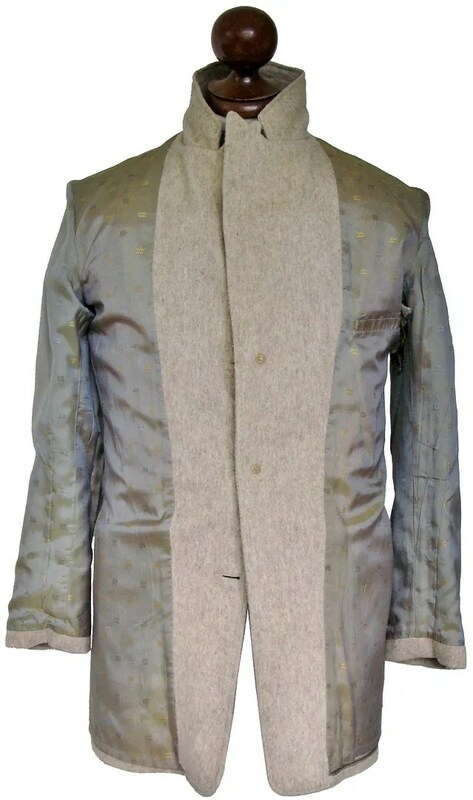 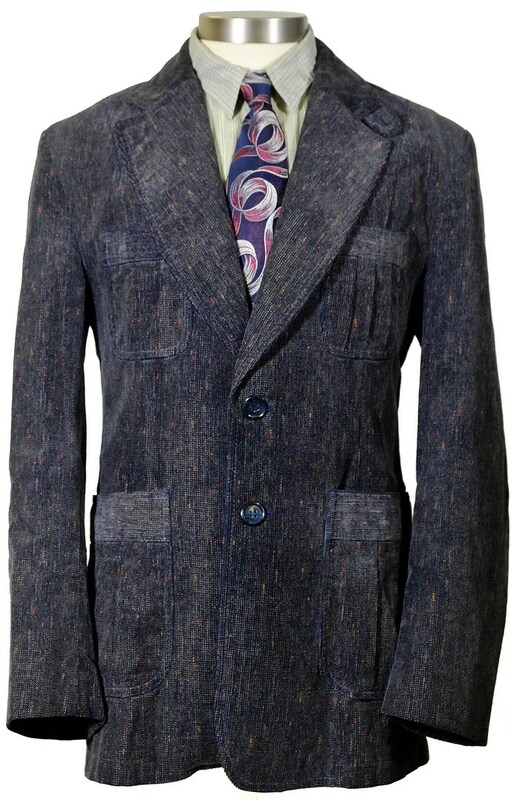 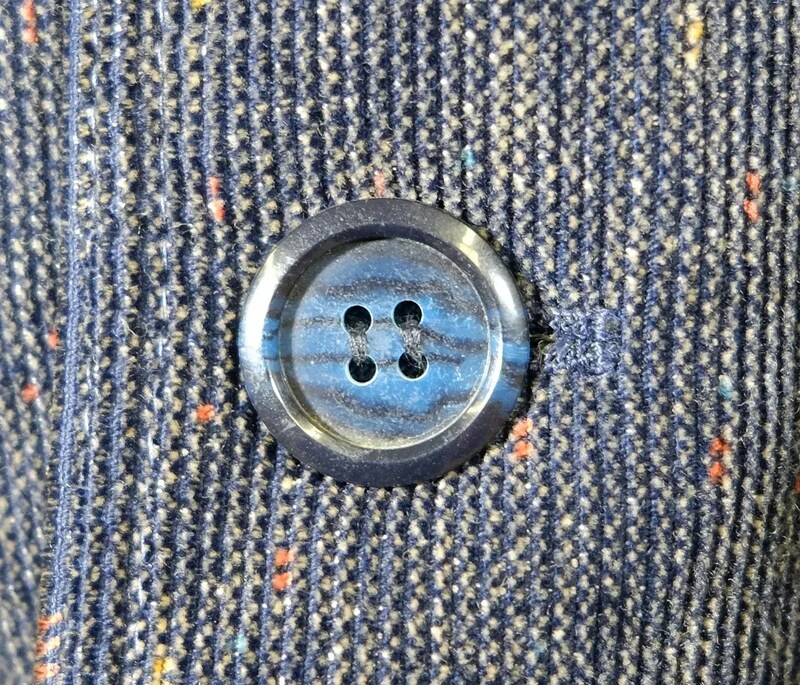 The jacket is made in a flecked corduroy similar to what was sold in the 1920s-1930s as Tweederoy. 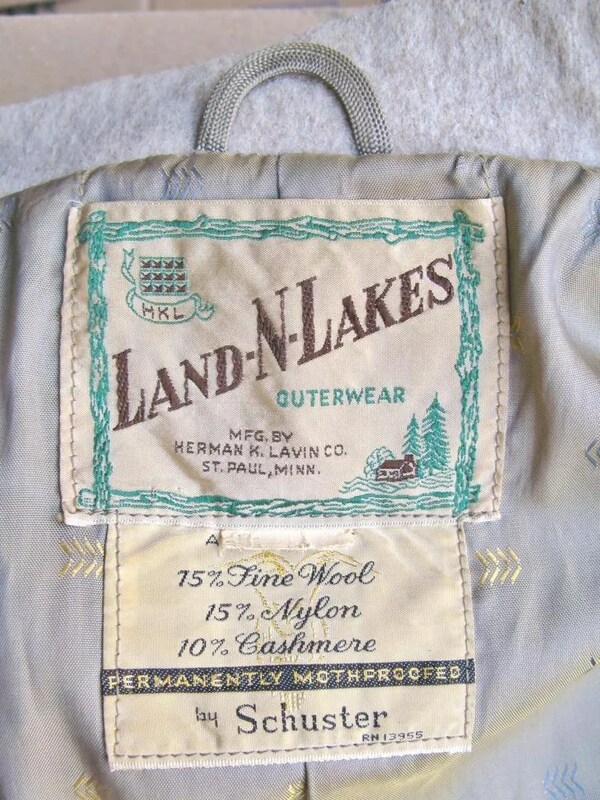 This vintage jacket was made in the 1950s by the Herman K Lavin Company of Saint Paul, Minnesota under the Land-N-Lakes label. 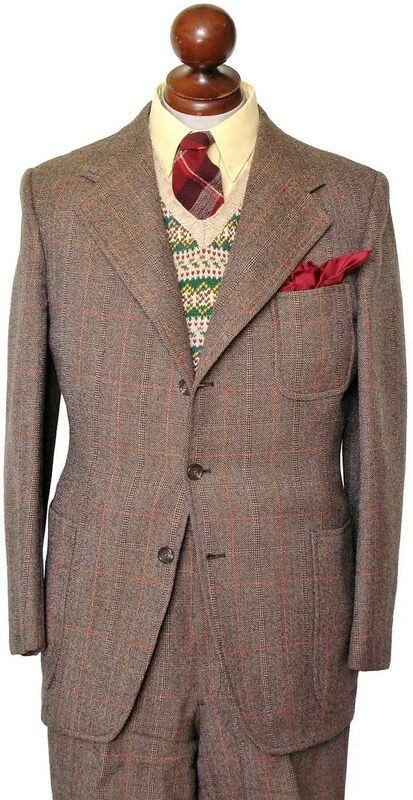 It is made of an 75% Wool, 15% Nylon and 10% Cashmere blend, with peak lapels, elaborate front and back yokes, bi-swing shoulders, scalloped pocket flaps and saddlebag pockets. 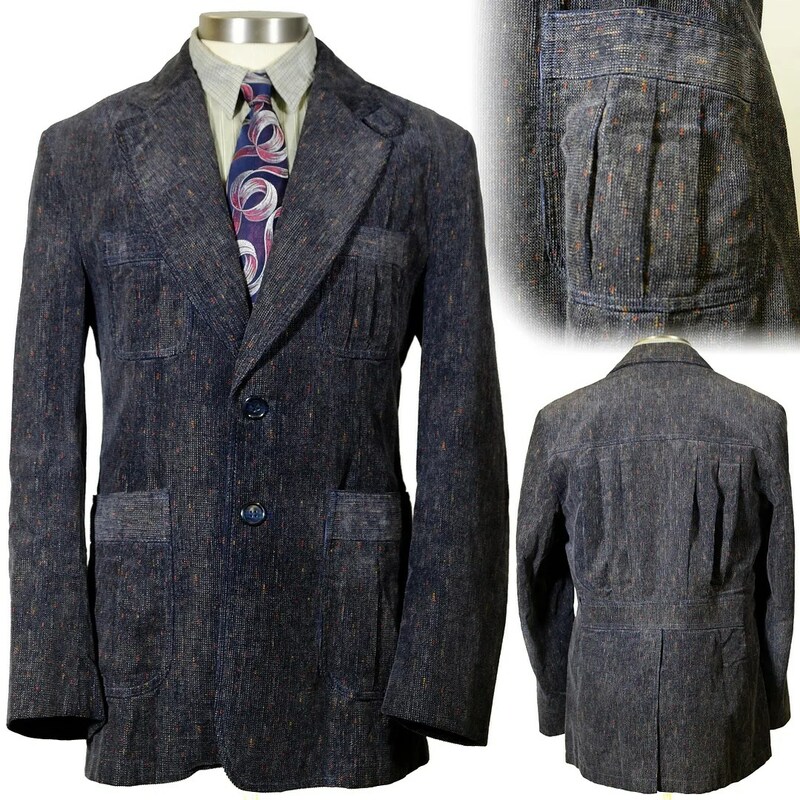 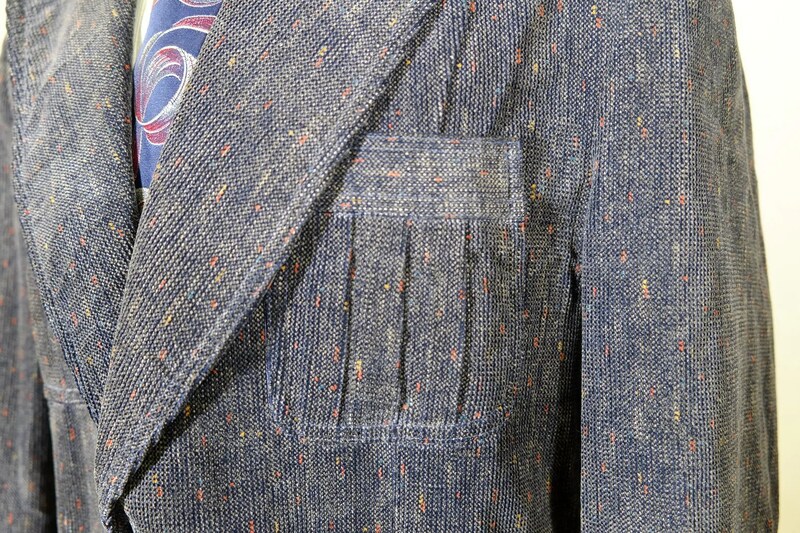 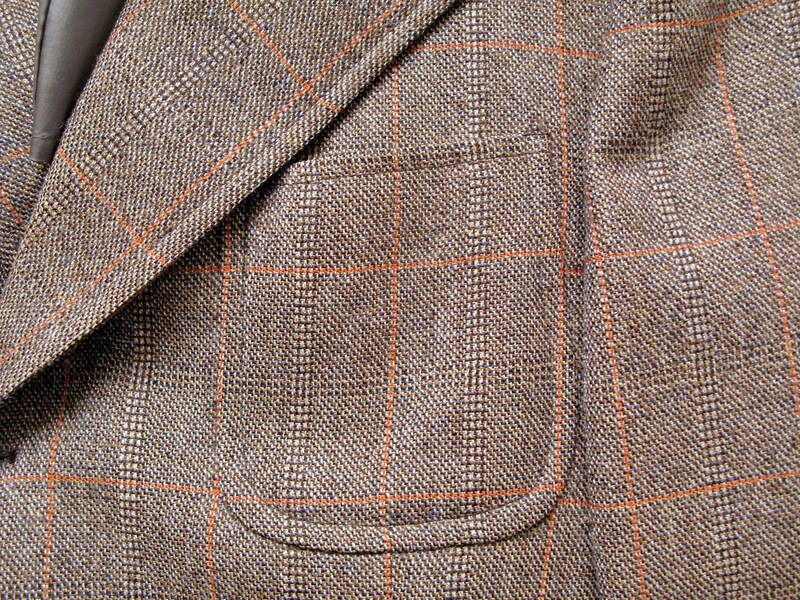 These jackets are about half-way between a sportcoat and a jacket, the perfect weight for fall. 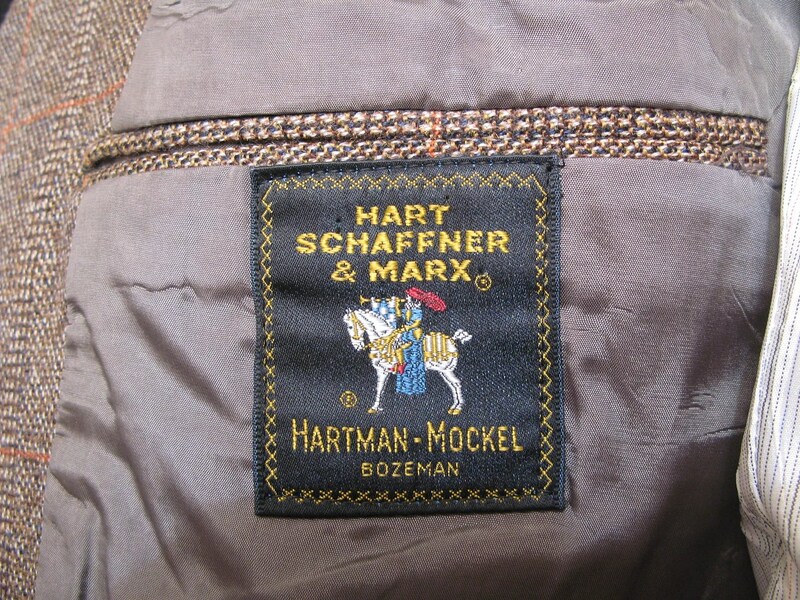 This vintage suit was made in the late 1960s-early 1970s by Hart Schaffner & Marx during a brief revival of 1930s belt-back styles. 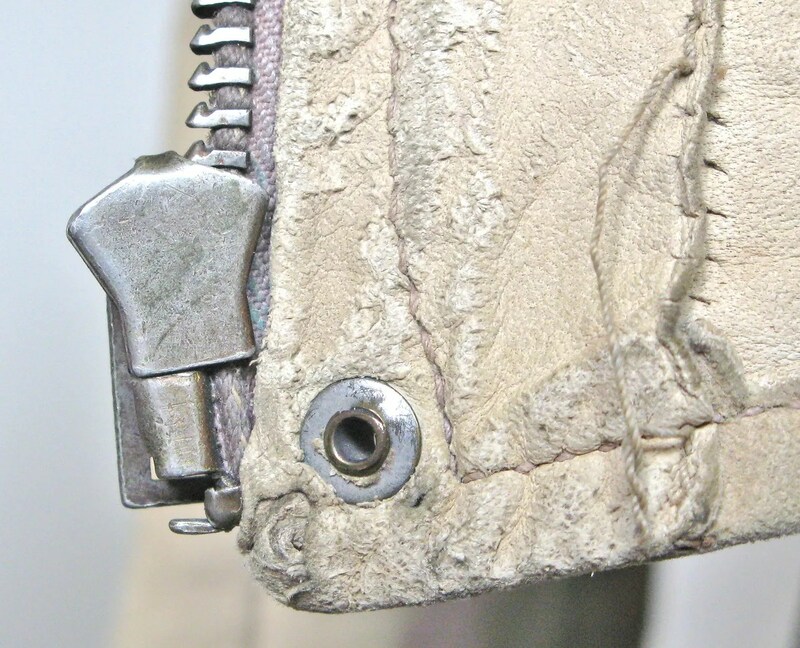 While many from this period have scalloped pocket flaps and other 1970s detailing, this one plays it very close to the originals. 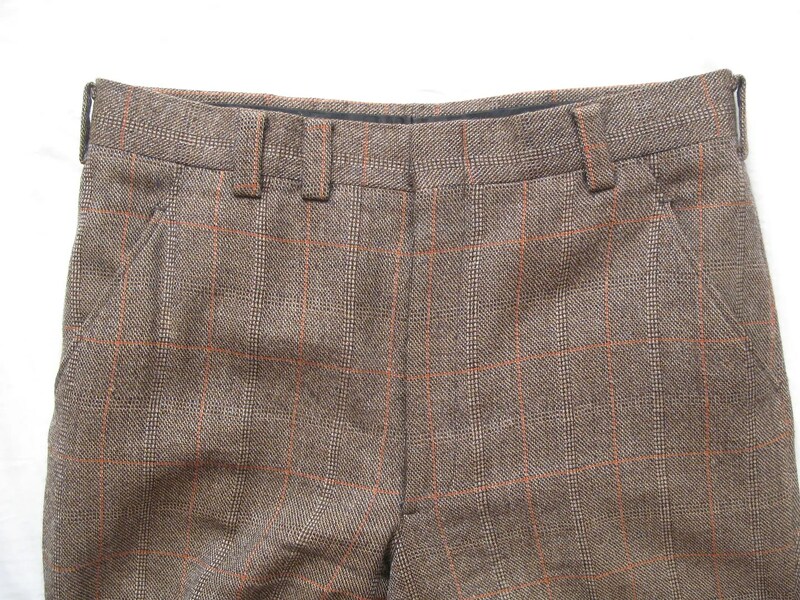 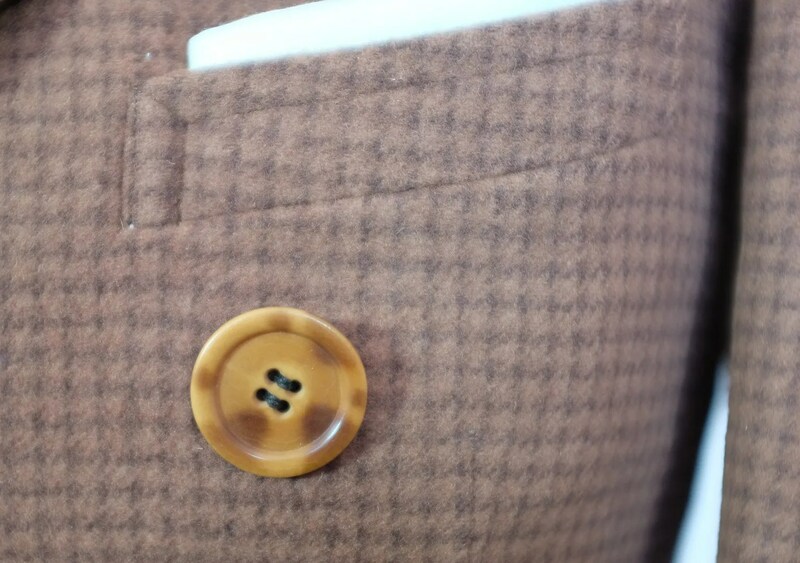 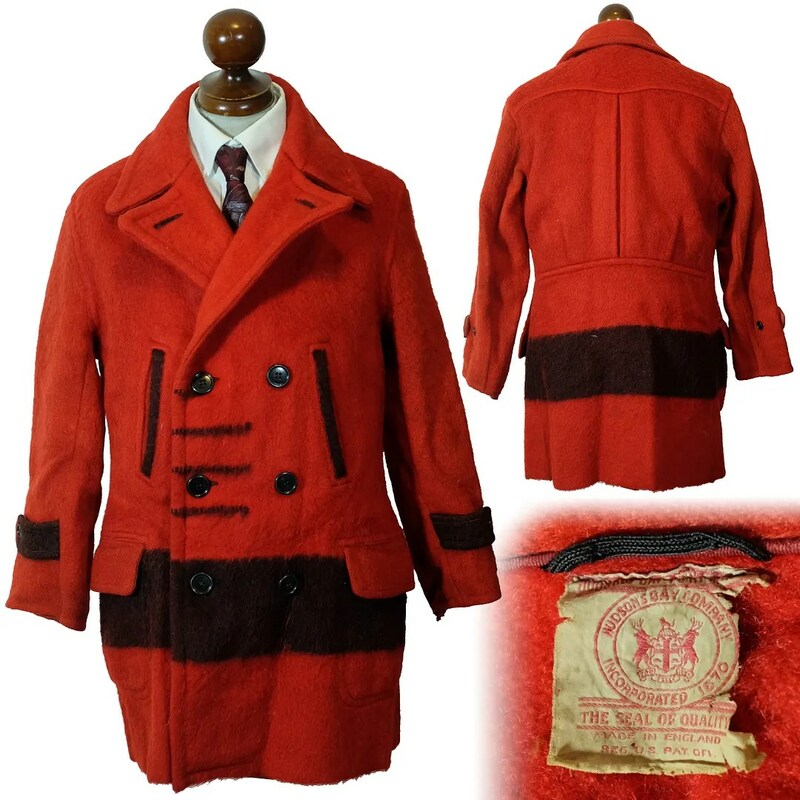 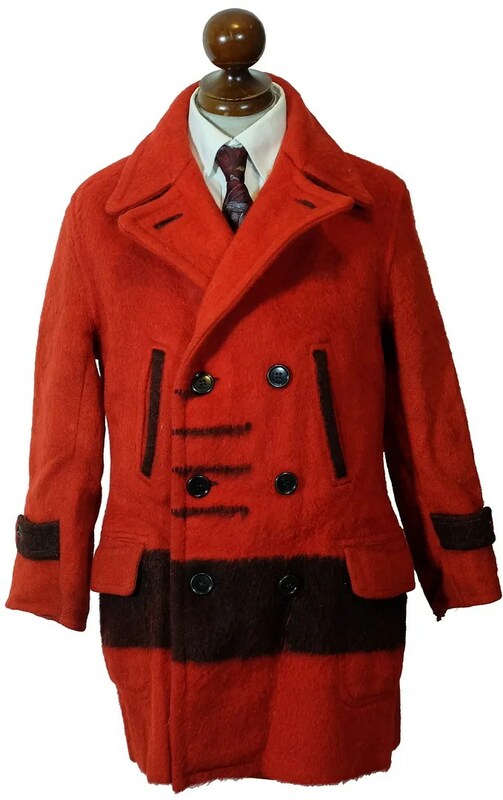 It is made of brown wool tweed with a rust colored overcheck. 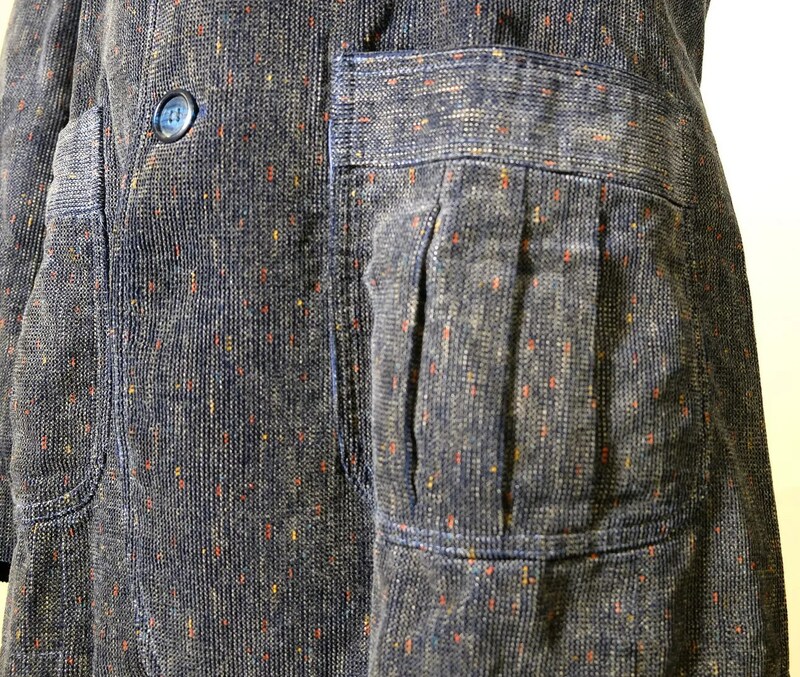 It has patch pockets, and a belted, pleated back. 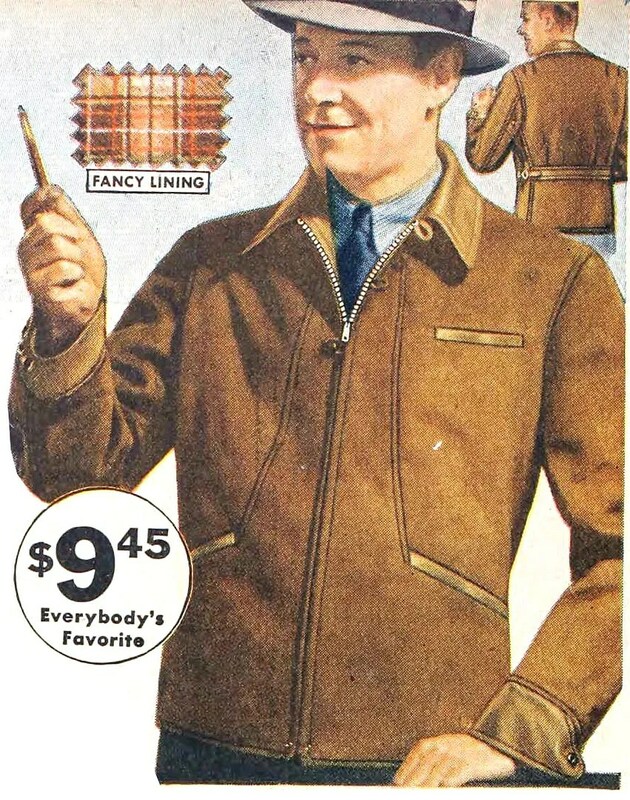 The jacket is half-lined.